But what are we trying to accomplish? So, I guess I would say, the first thing I do is take some time over the summer to assess our previous school year, and look at each child individually. I go through their portfolios, look at their test scores (yes, we test with the SAT 10 every year! but that’s a topic for another day! 🙂 ), I also think about ways they have matured that year, how their interactions with our family have changed etc. etc. I make notes, and use this nifty planning sheet from the TOS Homeschool Planner, where I can just write goals in different areas (i.e. spiritual, academic, physical etc. etc.). I try to choose one thing for each child in each area, and that becomes my goal for the year. I then take time to look at my curriculum, and make more specific, quarterly goals that will lead to us achieving the final goal at the end of the year. For my older son (13-8th grade), we are working on memorizing passages of scripture. Memory work and reading come more easily to this boy, so I want to push him to grow in this area. Academically, we are tackling pre-algebra. Math is an area that is harder for him, so my goal is to get him to gain both confidence and skill in this subject. I would like to have him ready for Algebra in 9th grade! My oldest is also continuing in his guitar lessons, and he would like to start playing with the youth band at our church. This is a goal he set for himself, and one that I want to encourage. I think teaching your kids to set their own goals as they get older is really important. We also have some general skills for both of our boys. My husband is a personal trainer (on the side, in addition to his firefighting job 🙂 ), so fitness and health is very important for our family as a whole. He wants the boys to develop the habit of getting regular excercise and eating healthy. I am working with them to plan meals that are tasty and healthy for all of us, and trying to train them to be conscious about what they eat. We are also making a habit as a family to get outdoors and do stuff together (walking, biking etc.). We have some behavioral goals as well. We’ve started with a different chore chart, where we can put the daily totals of “commission” earned each day. We really want the boys to get in the habit of completing their chores WITHOUT prompting (which I’m sorry to say, has not happened here yet!!). And our final goal is just to get the boys to continue to focus on how they act and speak with each other! For the most part, they do get along really well, however, they are brothers, and we still have those days where ALL they do is pick at each other and drive each other (and us!!) crazy! Do you have a budding author, poet, artist or photographer in your home? If you do, they would probably be interested in this magazine! 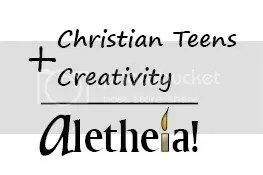 Aletheia is a magazine for Christian teens, by Christian teens! It contains short stories, poems, pictures, contests, interviews, book reviews and more. The stories range from realistic drama, to fantasy, fables and even non-fiction pieces. For this review, I received a copy of the Fall 2011 issue, and I also got to check out a sample online. The first thing I did was peruse the magazine myself, because I always like to check something out before handing it off to my kids!! I have to say I was impressed with the quality of this magazine. The stories are very well-written, exciting and beautiful, and the pictures and photographs were gorgeous. My son can be picky about what he reads, but he really enjoyed the story “Awake: The Tale of Alatar the Blue”, and the interview with Joe Goode, for the “Into the Artist’s Studio” portion of the magazine. 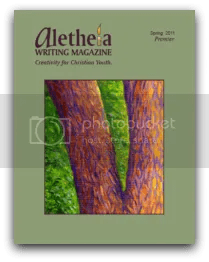 This portion focuses on an interview with a Christian artist (in this case, Joe Goode is an illustrator, but in other magazines they have interviews with scripwriters and other types of artists as well). He also asked me if he could participate in the “Writer’s Challenge”, which was to write a poem for a photograph in the magazine. ***Disclaimer: I was given a free issue of this magazine for the purpose of writing this review. All opinions expressed are my own. 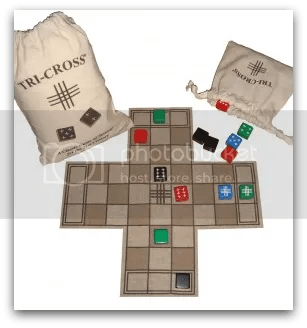 Games for competitors has won a few awards for Tri-Cross, a strategy game for players 8 and up. The game was created by an Atlanta father-son team and is hailed as the “new chess”. The game itself is also environmentally friendly! The game design itself is very attractive, and comes with instructions. There is also a tutorial DVD showing different examples of moves on the board, and you-tube videos available on the website. I have to admit, at first this game seemed a little complicated to me! However, both my husband and my sons enjoy strategy games, they play Risk and Chess often, and after watching the tutorials, we got the hang of things pretty quickly! I haven’t won a game yet, but I enjoy playing! There are also different variations to the game, such as face-down play, which add a new dimension to the game. We enjoy family game night at our house, and Tri-cross has been a great addition to these nights for us. I love the fact that it requires my boys to really *think* before they move. Strategy games often seem akin to logic puzzles to me…and anything that is fun AND causes us to exercise our brains is a winner here!! Tri-Cross comes in different versions. Standard is $24.95, the Wood Version is $35.95, the Travel/ Eco-Version is $19.95. If you have kids that love to play games that make them think, this one is definitely for you! ***Disclaimer: I was given a free edition of this game for the purpose of writing this review. All opinions expressed are my own. We had a good week this week, although I am still having trouble with some of my pictures!! We did another forensics lab, this one involving different lipstick stains. I didn’t realize the effect acetone could have on lipstick…but that’s what I love about homeschool, I get to learn along with my kids!! We took some time away from our regular studies these past two weeks to do the September 11 lapbook from Hands of a Child. My husband is a firefighter, and 9/11 holds special meaning to us. We think it is so important for us to remember what happened that day. My kids were only 3 and 4 months old when it happened…so all they really know of it is what they see on TV. But, I will never forget that day. I thought the lapbook was tastefully done, with lots of info, but it gave you, as the parent, lots of room to delve in deeper, or not, as you chose! We have finished our Time Travelers Early 19th Century CD, and we will be putting our lapbook for that together next week as we wrap things up. After this, it’s off to the first week of Winter Promise American Cultures. I am soooo excited!! I need to spend this weekend planning and requesting books from the library! Hope you all have a great weekend! AIMS offers math and science activity books, based on specific topics (critters) and areas of science (physical science). They also offer manipulatives for math that can be used by grade level or topic as well. They have both physical books you can hold in your hands, and downloadable ebooks if you’d rather print pages off of your computer. 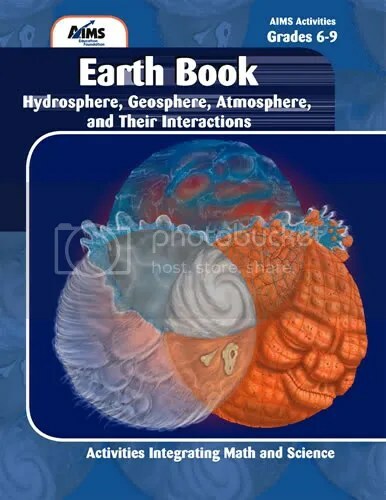 For my review, I used the Earth Book, an activity book for science, with my oldest son (8th grade). The book opens with a brief introduction and a list of standards that are addressed in the Earth Book (AIMS products are standards-based, you can even look up materials based on state standards if you wish). The lessons open with a page for the teacher explaining and describing the lesson, with tips on how to present it to the students. (Yes, I said students!). These books were created for classroom teachers, but are easily adapted to homeschooling. 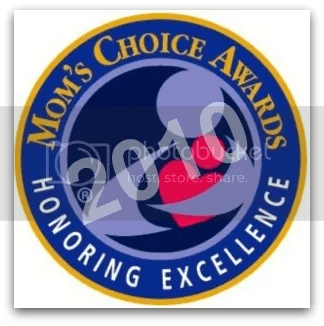 Many of us have a few students in our homeschool as it is, and I will say that I had my younger son (5th grade) sit in on some of the activities, and he did fine. I think it would be fairly easy to use this book across grade levels if I wanted to. There is a materials list at the back of the book, which I found very helpful. There’s nothing more frustrating for this mom than having to go through multiple pages to sort out what materials I will need in the coming weeks. Many of the materials were common household items (straws, envelopes, vinegar, index cards etc.). However, some materials would require more effort to obtain (rock and mineral kits, builders sand, pea gravel etc.). Since the materials needed for each lesson are listed on the teacher page, you could easily look ahead and decide which ones you needed to get, or, if it was too difficult, just move ahead to another lesson. Some of the activities we did related to hard water vs. soft water, the salinity of ocean water, the layers of the ocean and ocean currents. Other topics include things like earthquakes, weather, fossils, and rocks. I do want to make one important note here: AIMS lessons include information about the geologic timeline. The lesson for that particular topic does state that the earth is millions of years old. AIMS does not promote itself as a Christian company, just a company that wants to create fun science and math products for kids. Their views on this topic may conflict with yours. For me, as a Christian homeschooling parent, I would simply omit those lessons, or use them as a springboard for further research into the legitimacy of carbon-dating, conflicting evidence on the age of the earth etc. etc. 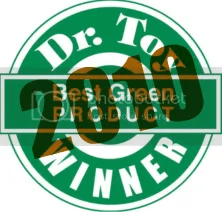 **Disclaimer: I was given this product free of charge in exchange for this review. The opinions expressed are entirely my own. 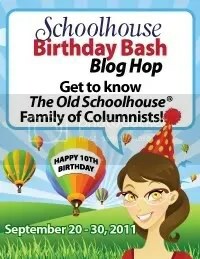 This month’s blog hop is focused on how we celebrate NOT going back to school! I remember my school days…buying backpacks and school supplies, hoping your teacher would be nice and your friends would be in your class, wondering what time lunch was going to be. As homeschoolers, my children do not participate in most of these traditions. Yes, we do buy school supplies together, but they know who their teacher is (Mom) and who their classmates are (each other), and when lunch is (whenever we get hungry!). Nevertheless, we do have some things we do to celebrate the start of our school year. First, our local homeschool group has a beach breakfast at the start of every school year. The breakfast is usually held on the first day of school for our local public schools. We meet at a local beach (usually one with a playground as well) and everyone brings food to share. After breakfast the kids play games and the families hang out on the beach. We had a lot of fun this year catching up with our friends, finding out about their summers and learning what they would be doing in school this year. We also have a family tradition of going out to breakfast at a local restaurant on the first and last days of our school year. This is something my kids really look forward to, because we don’t go out a lot! Once we get home, our first day is usually pretty simple. We talk about what we will be studying this year, the kids set up their notebooks and get to look at their books, and we talk about our schedule. Speaking of scheduling, I find it funny that many of my friends who don’t homeschool seem to think I have a lot of free time on my hands every day. They ask me out to lunch, or to run an errand for them, or call in the middle of the day. I feel like our days are even busier since we started homeschooling sometimes, but we are doing things we choose to do, not things we have to do. We participate in a homeschool group and a homeschool running club, both of my kids take music lessons (one plays guitar, the other is a drummer), we have family trips to the beach, the park, museums etc. My boys are definitely more involved in things now than they ever were, and I know we would not have time for most of this if they were in school. I guess that is part of the reason we choose to homeschool in the first place!